Yay, your little one is here. Now what? Our mindful motherhood workshop is all about embracing the journey of being a parent. This workshop is designed to help you understand the emotional and physical aspects of the postpartum experience. There will be several guest speakers to help guide you through the wonderful journey of motherhood. Plus, yoga is a great way for mommy and baby to bond. Join other moms for this empowering postpartum workshop with an opportunity to build community. 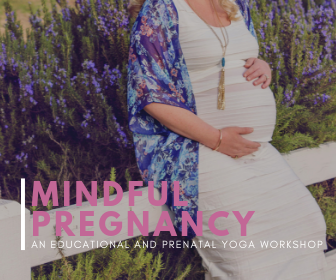 Our mindful pregnancy workshop is all about education and preparation, with lots of fun sprinkled in. 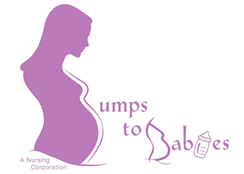 There will be several guest speakers to help guide you through the wonderful journey of pregnancy. Plus, you can take this informative and motivational workshop during any trimester. Join other moms-to-be for this empowering prenatal workshop with an opportunity to build community. Create a birth experience that will bring you happy memories for years to come. 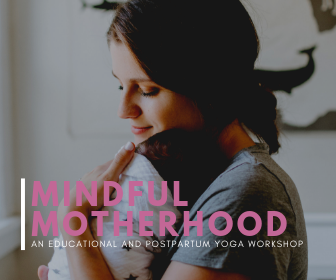 This Ma Yoga collaboration will help you learn how to advocate for yourself and your baby, create a support network, and relieve physical and mental stress. 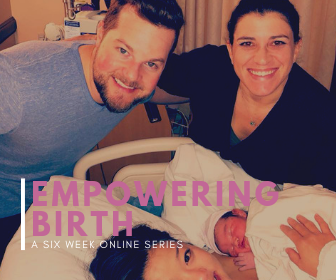 Join us for our comprehensive and transformative online Birth Prep Class! If you would like to be notified when this workshop opens up for registration, please click the sign up button below. 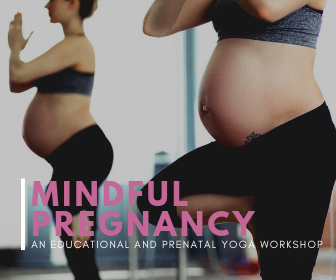 Our Prenatal Partner Workshop is a connective and informative class. This workshop is great for pregnant women (and their labor team) looking to build and deepen their support network. 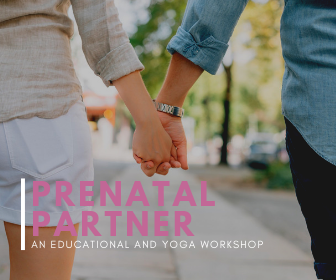 Whether you are looking to connect with a partner, family member, or other loved one, our Prenatal Partner Workshop will provide you with the tools you need for the next chapter of your life. Stay informed about workshops, prenatal yoga classes and more.